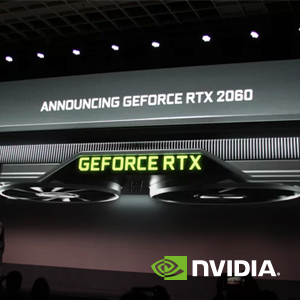 Announced at CES, the GeForce RTX™ 2060 with its affordable price, brings incredible performance and the power of real-time ray tracing and AI to the latest games and to every gamer. During the press conference Jensen demonstrated GeForce RTX running new games and demos featuring RTX ray tracing and DLSS technology. Blockbusters Battlefield V and Anthem are adding RTX DLSS. Justice and Atomic Heart showed new tech demos featuring ray tracing and DLSS. CES attendees are invited to visit the NVIDIA booth (#6306) in the North Hall for additional information on these and other topics. If you are attending CES and would like to meet with a PNY representative, please email gopny@pny.com.